The release of Underworld Ascendant this week marks the first time the series has seen a proper new entry since the early 90s. Back then, it was the acclaimed development group known as Looking Glass Studios who were at the helm of some of the most revered titles in the industry's history including System Shock 1 and System Shock 2, Thief, and of course, the Ultima Underworld series. It's these two particular games, Ultima Underworld: The Stygian Abyss and Ultima Underworld II: Labyrinth of Worlds, that helped catapult the studio to the higher echelon thanks to some of its more ingenious mechanics and technological innovations. That includes features that we now take the granted such as the simple ability to have your character look up and down. More importantly, these two entries struck a chord with gamers in how it approached emergent gameplay and player agency through its immersive storytelling as dungeon-based adventure RPGs. Since Looking Glass went defunct at the turn of the millennium, many of its core members moved on to bigger and better things, like Paul Neurath, who founded the independent game studio OtherSide Entertainment (formerly Cerulean Sky Productions) back in 2013. Later on, in February 2016, legendary game designer Warren Spector, producer of the Ultima Underworld games, joined as its Studio Director after working as an adviser for the team since its formation. The company was founded in part to fund the next entry in the Ultima Underworld series, which leads us to the topic at hand - Underworld Ascendant, the follow-up to Stygian Abyss in all but name (since they weren't able to procure the rights to the brand itself from EA). Launched as Kickstarter back in early 2015, it quickly blew past its initial base goal of $600,000, making more than $860,000 before all was said and done. Since then, the team has remained communicative with backers with monthly (or near-monthly) posts through their Kickstarter page and official blog sharing the ongoing progress. Over the course of that period, they partnered up with 505 Games last year to handle publishing for the game. Now that the preamble is over with, let's talk about what this article is all about. 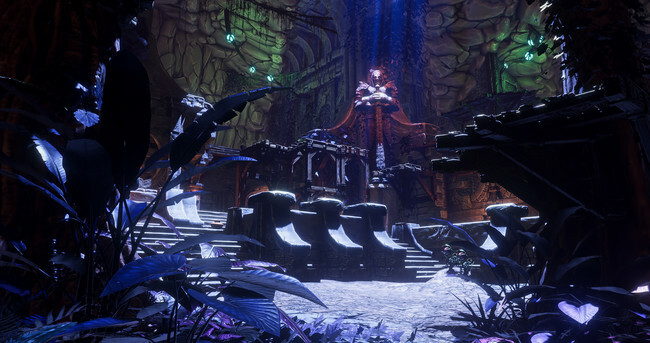 I was recently given the opportunity to conduct an interview with Paul Neurath, Joe Fielder, and Warren Spector ahead of the game's official release tomorrow with a variety of questions regarding their approach to creating Underworld Ascendant. That includes insight as to the whole concept of player agency and the steps they're taking to bringing new players into the fold. I would like to personally thank Paul, Joe, and Warren for being a part of this interview! Note: This interview was conducted via email so the questions you see are those I sent to the team initially. RPG Site: Let's start with something I feel is so important. What does the legacy of Ultima mean to you? Warren Spector: Ultima means so much to me. Playing Ultima IV convinced me that games could be about something more than just killing monsters – they could express important themes, just like any other medium, but instead of just talking to readers or viewers, games can be a conversation about those themes involving both designer and player. Richard Garriott got that. Playing Ultima VI was another Ultima game that changed the way I think about games. It was while I was working on that game that I first saw a player solve a problem in a way that wasn’t pre-planned, that surprised me even though I “knew” how players were “supposed” to solve the problem. That was hugely important to me. Still is. RPG Site: This next question is for Paul Neurath. 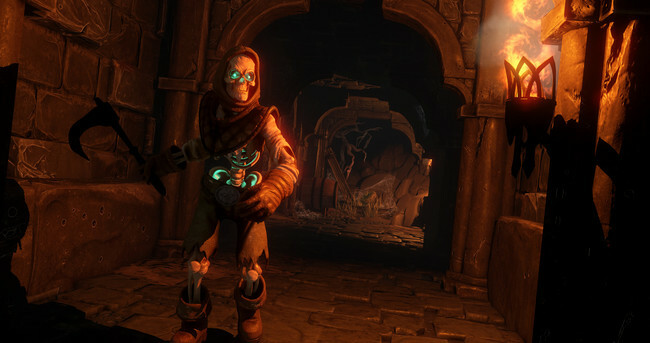 Underworld Ascendant has been something of a pet project for many years, ever since OtherSide Entertainment’s inception. I'd love to learn more about the history of how this project was originally conceived, and what you hope to show to audiences, especially those who may have never played an Ultima game. Paul Neurath: When we finished Ultima Underworld II in 1993, the plan was to make a sequel. Those plans got put on the back burner for a few decades as it turns out. Then 4 years ago, EA gave us the opportunity for our studio to take the franchise forward on our own, sans the “Ultima” fictional elements (together with the System Shock franchise). That was the genesis of OtherSide Entertainment. 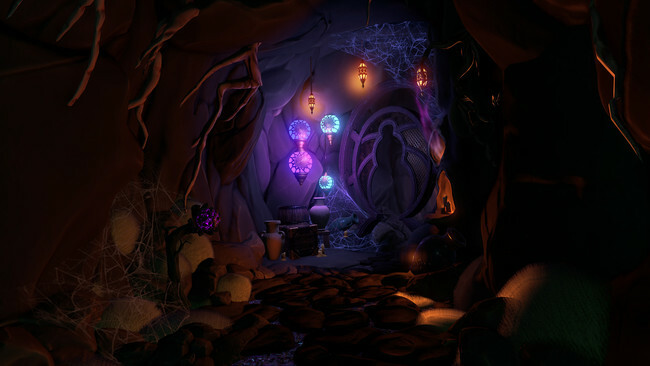 While Underworld Ascendant is not a direct sequel of the original Underworld games, it does carry forward much of the gameplay DNA, along with select fictional elements, such as the setting in the Stygian Abyss, characters from the original game, the Lizardman language, and more. Fans of the original series will come across a bunch of fun references to the originals. For those who never played the original games, there is no need to know the original backstory to dive into Underworld Ascendant as we introduce the essential fictional elements as they play. One thing that was important to us was to avoid focusing too much on the nostalgia of the original games. We wanted to take the game forward into the modern era, and to innovate. The original spirit of the Underworld series was all about innovation. We want to remain true to that spirit, which matters most. RPG Site: Also, for Paul, what it’s like working on a franchise you've been a part of for decades, alongside many of the same people who were with you back then? Paul Neurath: Pretty darn fun. I had nearly given up hope that we could ever revisit Underworld.It’s pretty wonderful we at long last get the opportunity to revitalize the series with some of the super talented folks who made the original games, along with the original System Shock and Thief games. Warren Spector, you certainly have a storied history with the Ultima franchise since your Looking Glass Studios days. Please tell us a little bit about what the Ultima series means to you, and how you became involved with Underworld Ascendant in your current role. Warren Spector: I already answered what Ultima means to me so I won’t repeat myself here. How I got involved is simple: Paul Neurath, who I’ve known for almost thirty years now, told me he was starting a new studio to make a new Underworld game and a new System Shock game and was I interested in joining him in starting the company. How could I say “no?” My primary responsibility was – and is – to System Shock 3, but I wasn’t about to let anyone (not even Paul and his team) make an Underworld game without providing some input. I’ve tried to help out any way I could and in any way the team wanted me to. You’d have to ask them how helpful I’ve been! RPG Site: I want to turn this one to Joe Fielder. Your tenure in this industry has been filled with more action-oriented experiences like BioShock Infinite, Star Wars Battlefront II, and the most action-oriented of them all, Boom Blox. Underworld Ascendant is certainly a very different type of game, with its high fantasy setting and what not, so I would love to know what your approach has been to work on this title? Additionally, the work you have put into balancing the lore of the series for those stalwart fans out there who played the Ultima Underworld games. Joe Fielder: My approach to working on this title was to embrace the Looking Glass philosophies surrounding player choice and ensure that we give the player interesting challenges, a wide variety of tools and an interactive world, then let them decide how to solve them. I also felt like it was vitally important for the game narrative to tie deeply into the gameplay, rather than be divorced from it as in a lot of games. The Stygian Abyss is an incredibly dangerous environment. It’s a liminal space where the barriers between other dimensions are thin and deadly creatures from beyond have made it their home. So, the society that’s developed there in the settlement of Marcaul prizes key survival knowledge. They trade in it in fact, using magical artifacts called Memora that preserve memories. That’s one of the ways that we’ve taken the series’ lore forward, but we’re also delving deeper into its past with the return of the Cabirus, a character from the series’ backstory who is played by Stephen Russell (Garrett from Thief: The Dark Project). 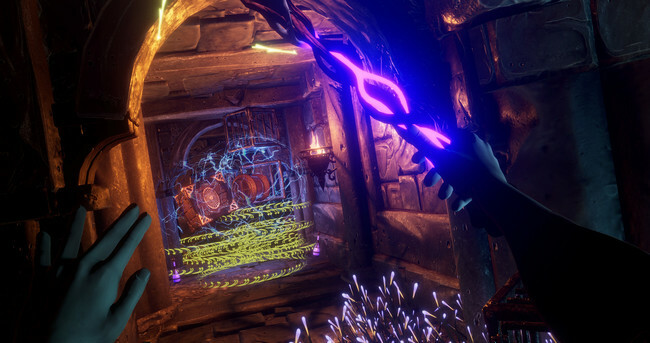 If you haven’t played the previous games, you’ll definitely be able to dive into Underworld Ascendant and know everything you need, but there’s plenty of ties into the series’ past for longtime fans. Some are more front and center, like Cabirus and references to the lizard man Ishtass, while some are deeper, harder to find easter eggs for those who like to hunt for them. RPG Site: There's this huge emphasis on player creativity and player freedom - tackling the obstacles ahead of them as they see fit. So many other games try to accomplish this type of feature. I would be interested in learning more about why you all feel player agency is so crucial in terms of Underworld’s game's design and on a broader perspective? Warren Spector: Player agency is, for me, what games are all about. Allowing players to participate in the story-telling process, in the authorial process, is, maybe, the one thing that differentiates us from other media. That being the case, I think it’s almost a moral imperative to take advantage of what we do that other media can’t. I’ve been lucky to work with folks like Richard Garriott and Paul Neurath who see how important it is to empower players to craft their own, unique experiences. Joe Fielder: Our lead designer Tim Stellmach tells a story from the Looking Glass days, back when he was the lead designer on Thief: The Dark Project. The game had just come out and the first official print strategy guide arrived. He opened it up to read about a level he’d worked on, saw a very authoritative description of how to beat it, and said, “Oh! You can do that? !” That to me is a great example of the player choice of Looking Glass games and the depth of the immersive sim opportunities within them. 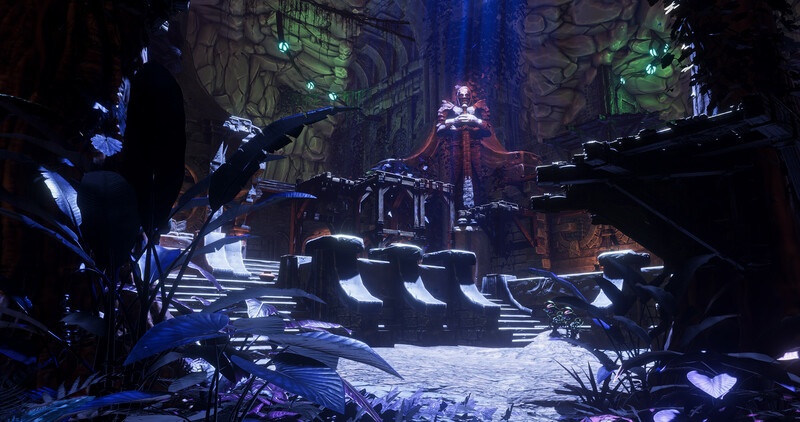 For Underworld Ascendant, we wanted to have both, but also reward the players for engaging and exploring with those systems. At the end of the day, you can play the game however you like, but if you dig into the depth of the gameplay systems, you’ll find there are dozens and dozens of different options beyond simply swinging a sword or firing a bow. It’s immensely satisfying when we have new people play Underworld Ascendant and they come up with solutions we’ve never seen before, based on reasonable assumptions of how the logic-based systems ruling the world work. And it’s happened often, which is great. RPG Site: Finally, to put a ribbon on this, it would be great if you all would provide a message to fans who have been waiting for a new Ultima title. Warren Spector: The real answer is that fans of Ultima will still have to wait! Underworld Ascendant shares many characteristics with Ultima games, but it isn’t, technically, an Ultima game itself. If you love those games, we think you’ll love Ascendant, but while we’ve incorporated some elements of the original Underworld lore, Ascendant is set in a universe all its own. Gameplay similarities will be there, sure, but in terms of setting, story and the most modern approach to gameplay, we’re unique.